The UK’s first HIV testing kits, which can be ordered online and used at home, have gone on sale, meaning individuals will be able to check whether they have been infected without having to visit a healthcare professional. The BioSure kit, which costs £29.95 (US$45.30), containing a small blood vial and instructions for testing, with results available in just 15 minutes. In recent years the symptoms of HIV have become much more controllable. Infected individuals are able to lead a relatively normal life with the help of anti-retroviral drugs. Late diagnosis, however, can still be extremely damaging to the life expectancy of sufferers. There are hopes the home-testing kit will allow those nervous about seeing a doctor to secure an early diagnosis. Current figures suggest as many as 26,000 people in the UK are unaware they are HIV positive, meaning they are unwittingly responsible for transmitting the disease. BioSure’s website says the product has undergone “extensive scrutiny” and is the only self-testing kit to “legally carry the CE mark,” a European product verification code. The “innovative HIV Self Test is over 99 percent accurate from 3 months after suspected exposure to the infection. The test is simple to use and provides a clear & easy to read indication of your HIV status in just 15 minutes,” its website reads. The company acknowledges the test may fail to pick up the virus if the individual uses the test less than three months after a suspected exposure. Brigette Bard, the founder of BioSure, said the product would be empowering. “Knowing your HIV status is critical and the launch of this product will empower people to discreetly test themselves when it is convenient to them and in a place where they feel comfortable. “We passionately believe that we can help to reduce HIV infection rates. “The process of gaining the CE mark for an HIV self-test is extremely rigorous and requires proof that an untrained user can perform the test and read the results with the same level of accuracy as a trained healthcare professional. 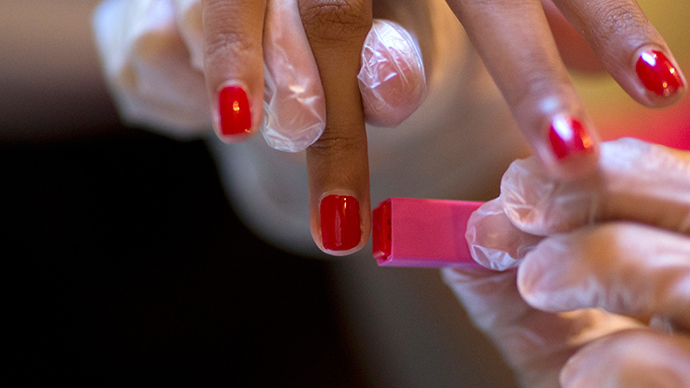 “However the BioSURE HIV self-test may not detect recent HIV infection as it can take up to three months for the level of antibodies to become detectable,” she added. The test has been well-received by HIV treatment charities, who say while the new kits are a step forward, individuals with a positive diagnoses need access to treatment. Shaun Griffin, who also works for Terrence Higgins Trust, said: “At the moment there are funding challenges throughout the NHS, including for sexual health services.